Do you know that feeling when something inside your mind already knows what to do, but you’re still trying to reason your way around it? That “something inside your head” happens to be your instincts. The same way the Canadian Geese know when it’s time to fly south, your mind knows when it’s time to let go, or when an opportunity is right for you, or when danger is around the corner. We all neglect our instincts because we live in a world where reason rules. We must always be in control. We must always know what is going on, and if something doesn’t make sense, we shouldn’t listen to it. In Blink Malcom Gladwell tells us a little bit about what happens in our unconscious, and why we should listen to it more often. What’s hidden behind that door can help you make major life decisions. Baseball movies. We have all watched one. Where the entire franchise decides to draft a particular player because of its batting percentage and other loads of stats, but that one old man who has been around the game for decades tells them otherwise. He tells them that that other player that has a lower batting percentage is a better choice for the team. Nobody wants to believe him, and as it turns out in the end he was right. That old man does something that those businessmen and statisticians don’t often do: he listens to that little voice inside his head. Gladwell tells the story about one of the world’s top tennis coaches named Vic Braden who began noticing something unusual whenever he watched a tennis match. In tennis, the players are given two chances to serve the ball across the net, and if they fail twice in a roll the point goes to the opposition. That’s called a double-fault. In professional tennis, double-faults happen once every 100 serves or so. Those are very rare. Vic Braden began noticing that milliseconds before any player would serve he knew whether he/she would commit a double fault. He decided to bring his friends along and keep track of how many times he would get it right: he would call out loud (not that loud, since that would distract the players) whenever a double-fault was about to happen and they kept a tab of his success rate. In the course of numerous games he would get twenty out of twenty right! Vic would spend numerous nights sleepless trying to figure out how he was doing that. He wasn’t noticing anything unusual about the player’s form, or the wind direction, or anything else; he just knew it when it was about to happen. That snap judgement Braden was making in the blink of an eye was coming from what was behind that locked door in the back of his mind. Behind that locked door are infinite amounts of information that Vic Braden had been collecting over the course of his career in tennis. Information that most of the time went unnoticed by his conscious mind, but his unconsciousness picked it up. In an experiment ran by a psychologist named Norman R. F. Maier we can see exactly how much influence our unconsciousness has over our conscious decisions. Most people figured out the first three solutions. But the last one, only a few thought of it. Ten minutes later, Maier would walk across the room without telling them anything and swing a rope by the window. Right then and then people would think aha! and went on to figure out the fourth solution. After the experiment, he asked the people how they thought of swinging the rope, and most people answered that they didn’t know, it just came to their minds. Norman concluded that our unconsciousness can pick up on things that our consciousness cannot. 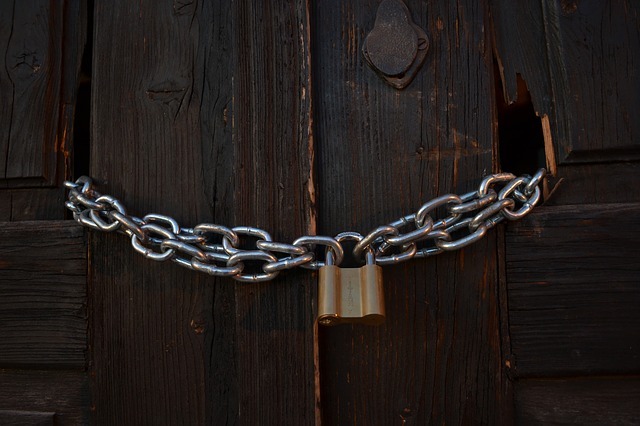 We can only process so many things at once in our minds, but behind that locked door our unconscious can process a lot more. Malcom Gladwell points out that throughout the lifetime of a police officer only about 10% of them get involved in a real life shooting. And from the testimonials that the police departments get, it is nothing like what we see in Hollywood films. All of these seem strange, and almost impossible. But that is a perfect example of our instincts taking over. Dave Grossman, a former army lieutenant colonel and author of On Killing, argues that the “optimal” state of arousal is when your heart rate is in between 115bpm and 145bpm. In that window our instincts are believed to serve us the most good and we can make snap decisions very quickly. 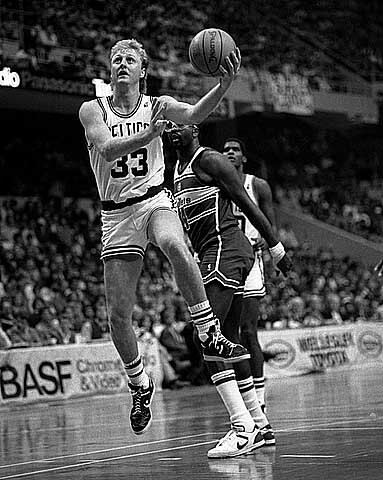 Larry Bird had the ability to slow things down and make instinctive decisions in the blink of an eye. Larry Bird was one of the greatest players to ever play in the NBA. He was known to have “great court vision” and a “feel for the game” that very few others had. He claims that in the final moments of the game the stadium would go quiet and he could not see anyone in the stands. As a result, he could knock down the game winning shot more times than not. He played at that “optimal” range of beats per minute. The reason why we hear stories of people doing impossible things in moments of stress is because some people manage to operate in the optimal heart rate range when faced with “danger”. And if it wasn’t for those very same instincts humanity would not have survived as long as it has so far. The question that you’re left with by the end of Blink is: “when should I listen to my instincts and when should I reason through a problem?”. Gladwell says that we should consciously analyze a problem when the issue is straight-forward, such as planning your work schedule or negotiating a better price in a purchase. When questions of analysis and personal choice start to become more complicated, we should rely on the big computer hiding behind that locked door since it can handle more variables than our consciousness. Our unconsciousness is there for a reason, and it has helped humanity survive through over 200,000 years of danger. Neglecting it would be foolish of us, the same way it wouldn’t be very smart to solely rely on it. Starting to develop a better feel for when to listen to what’s behind that locked door is what will strengthen your decision-making skills.